"Machinima is a new narrative medium in which players develop a new kind of literacy." Below you will find the full lecture abstract. Enjoy! Video games have become one of the main building blocks of our children's world (Gazit, in Press). Ellis (1983) argues that children usually play in groups, and when they don't, they share their experiences socially. Playing video games should be examined in social and cultural spheres that might be more important than the game itself. This presentation focuses on game-based movie-making of the Y-[tube] generation (children 13-17 years of ages and adults 18-28 years of age). Machinima is movie-making by using virtual worlds and videogames engines, which has gained popularity among players (Cefrey, 2008). The Machinima makers demonstrate a higher level of active participation compared to the majority of Bonk’s (2008) YouTube survey participants, preferring passive observation rather than creating their own YouTube videos. by collaborating with other actors on the scene, similar to regular movie-making (Hancock & Inqram, 2007). Moreover, hacking the game engine in order to create a “game mood”, a new game space and objects, requires programming skills. I argue that the new Machinima medium affords a new kind of literacy, which is a combination of cognitive, communication, artistic and visual skills. Moreover, there are commercial implications as the MTV's virtual world's music video competition shows (Sherman, 2007). Bardzell et al., (2006) classified Machinima to four types according to the platforms used: Pure Machinima platforms, Hybrid Games, Pure Games and Modded Games. 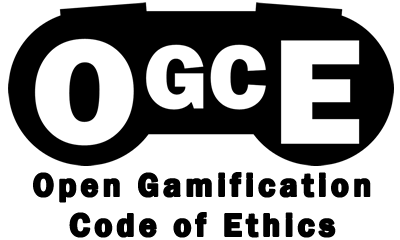 Some of the cultural themes reflected in the Machinima created inside massively multiplayer on-line games (MMOGs), such as World of World Craft, RuneScape, Habbo Hotel, and virtual worlds, such as Second Life, will be presented. From MTV’s music Mashinima mock ups, to original self expression stories. For example, the Machinima “make love not war” on Blizzard's World of Warcraft, represents in a funny and creative way the cultural gap between the children's world and the adult’s world. The ability to use ones imagination and see and experience from many different vantage points in MMORPGs, provides a new set of tools for imaginative and innovative thinking (Thomas & Brown, 2007). The Israeli Machinima “Status Quo” made by Nir Matarasso and Gur Bentwich on the Unreal1 engine, is an example of the creative expression of their political views which highlights the absurdity of the Israeli-Palestine Conflict. To conclude, I argue that the Machinima is a new narrative medium in which players develop a new kind of literacy and that this new medium deserves systematic examination for assessing its full cultural and cognitive implications. Gazit, H. (2008). Possible Cultural implications of Machinima: A new narrative medium for the Y-[tube] Generation. Paper presented at the First Israeli Popular Culture Conference: Rules of Disorder Shifting Boundaries, Emerging Realities and New Identities, Cinematec Tel Aviv May 15, 2008. קודם הפוסט הקודם: איך תשלבו גיימיפיקציה כדי להניע ללמידה אפקטיבית בהנאה?